Part of the joy of owning a home is the freedom you have to modify it to suit your family’s needs and preferences. In fact, it’s these improvements and upgrades that make your home truly your own. If you don’t have much DIY experience, though, the thought of altering anything around the house can be a little intimidating. By starting with simple projects, you can build your confidence while also making your home a more comfortable, enjoyable place to live. 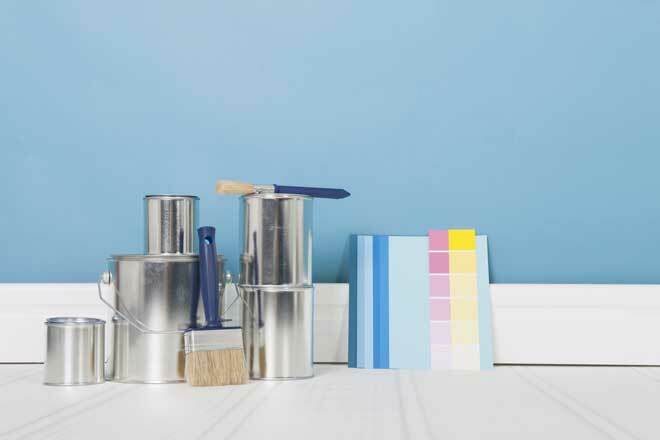 Freshen up the walls – Adding a fresh coat of paint and hanging new wallpaper are among the most popular home improvement projects for a good reason. They’re jobs nearly anyone can do and they cost relatively little, yet if done right, they make a dramatic difference in a room’s overall character. Before you choose your paint or wallpaper, have a color scheme in mind for the room. Have a wall with an interesting feature such as a built-in bookcase? Use it to add personality to your room by turning it into an accent wall painted in a color that stands out from the other walls. Rejuvenate the flooring – At a certain point, flooring can become so dirty and damaged that replacing it seems like way to improve it. If you’re tired of your ugly old floor, but completely replacing it isn’t an option right now, self-adhesive (peel-and-stick) vinyl flooring gives you a simple, budget-friendly, and beautiful alternative. These tiles are a breeze to install and come in so many varieties you’ll be able to get the exact look you want. 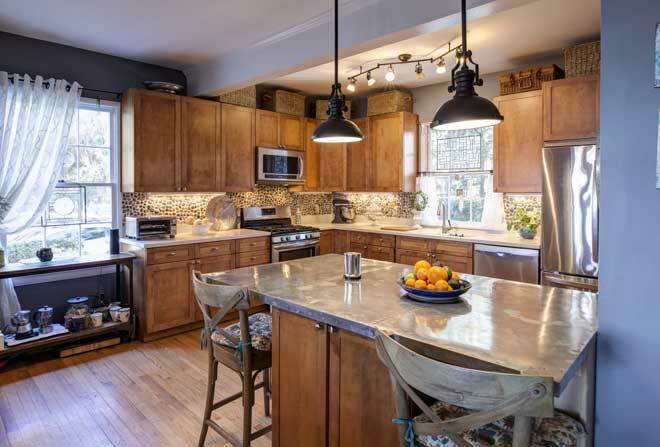 Update your kitchen lighting – Lighting has a major impact on how you feel in a room and because the kitchen is one of the most used rooms in the house, the lighting here is especially important. The simplest way to improve your kitchen lighting is to replace the existing fixtures with more modern designs or ones that better fit your decor. If you’re up for a more involved project, consider adding under cabinet lighting above your counters. 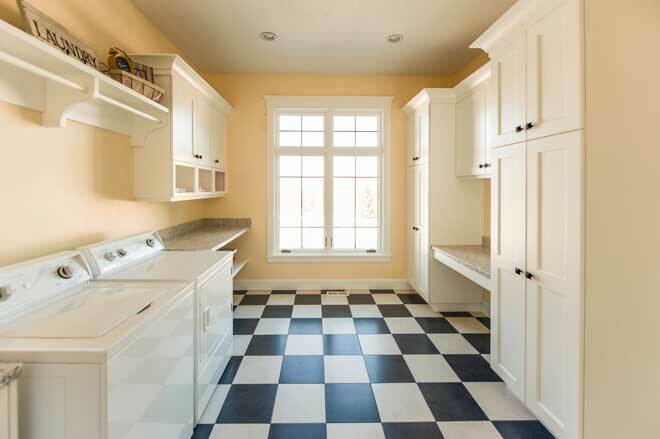 Better lighting here makes food preparation easier and reduces the risk of accidents. Want to give your dining area the atmosphere of an upscale restaurant? Add dimmer switches so you can lower the lights for a more sophisticated ambiance. 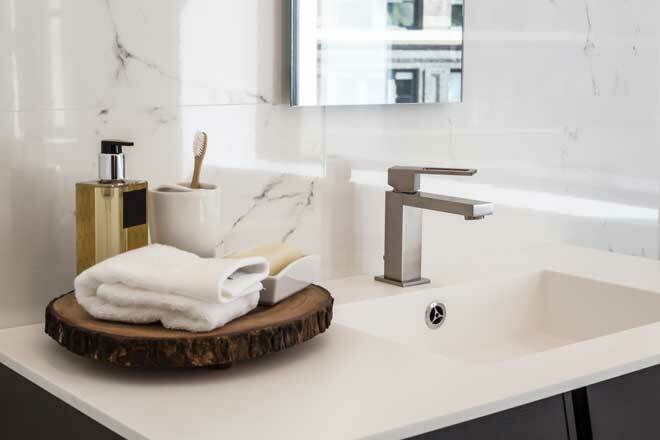 Install new plumbing fixtures – Plumbing fixtures with scratches, dulled finishes or other wear can make your kitchen and bath look dated and even unsanitary. Swapping out your old fixtures for new ones gives these rooms an instant update. Choose water-efficient models and you’ll enjoy lower water bills, too. Create a laundry center – Enjoy hassle-free laundry days by improving the organization and lighting in the area where you wash your clothes. Install a counter that gives you plenty of space for sorting and folding clothes. Put up shelving to keep your detergents and other products in order. Add bright fluorescent lighting to help you spot stains. 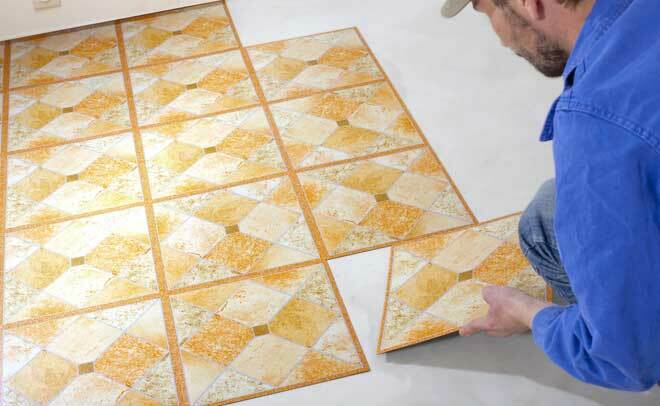 As a finishing touch, lay rubber floor tile for greater comfort, reduced noise, and easier cleanup. Install crown molding – Crown molding gives a room a more finished, elegant, and traditional look. Although traditionally installed where the ceiling meets wall, it can also be applied to walls and ceilings for decorative effect. For the greatest visual impact, choose molding in a color that sets off the color of the walls. Using the same color as the ceiling can make the ceiling feel heavy, while a contrasting color creates a sense of lightness and energy. Pay attention to which style and size best suits your room. 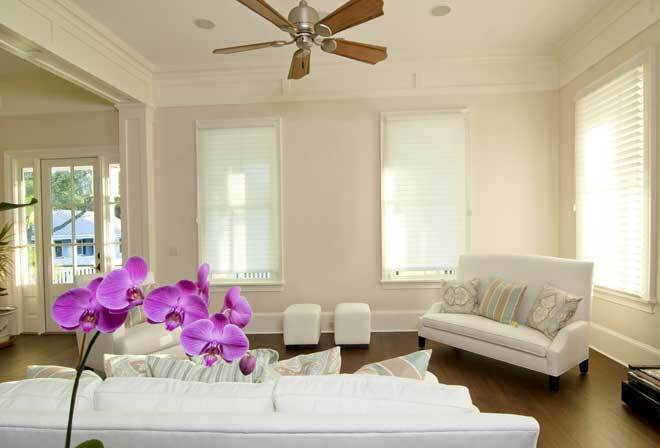 Large, ornate molding is fine for spacious rooms, but for small ones, choose simple, slim molding. 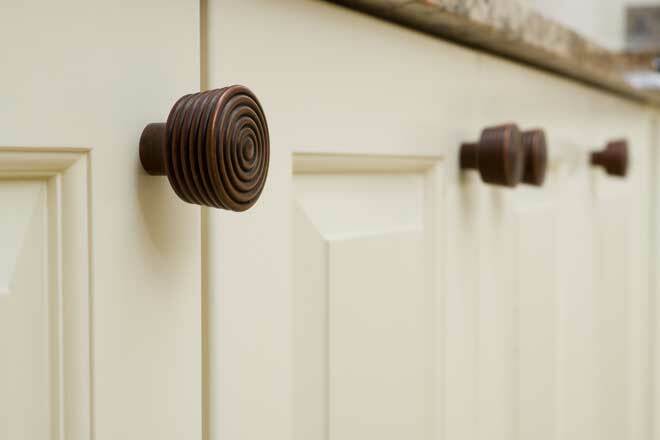 Change up your cabinetry hardware – With a little looking, you can find knobs and handles that suit your decor much better than the ones the factory installed on your drawers and cabinets. Changing them is a simple, low-cost job that adds polish to your rooms. There are a lot of choices available, so take the time to find styles that truly match the feel of the room, whether that’s sleek stainless steel, ornate brass or a less common material such as glass or stone. Expand your storage space – Ample storage space helps reduce clutter, making your home a more comfortable and convenient place to live. 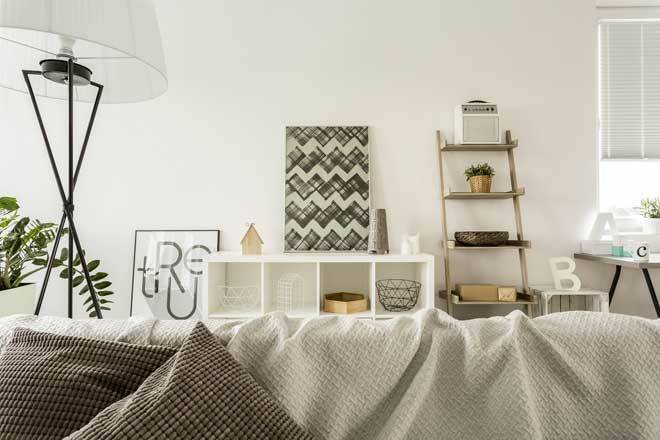 With so many DIY kits on the market that come ready for assembly, you don’t need carpentry skills to add shelves, bookcases or cabinets to your home. Spots to consider for extra storage space include under beds, under the stairs, and in knee walls. If you’re not interested in building something, even a simple wall rack for coats in the entryway or pots in the kitchen can help. Also look for places where storage furniture, such as benches and chests, could come in handy. 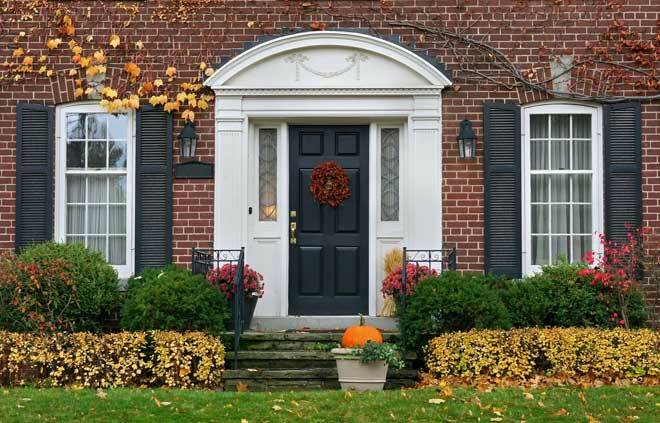 Spruce up your front door – As one of the first things you see when you come home, your front door has a major impact on how welcoming your home feels. A handsome solid wood door gives your home a classic, stately appearance, while a door with large decorative windows adds a touch of casual charm. If your existing door is warped or otherwise damaged, replacing it will improve your home’s appearance and security, while also reducing uncomfortable drafts. If you have a wood door that’s in good condition, but looking aged, a coat of paint or stain will rejuvenate it, and by extension, liven up the exterior of your whole house. 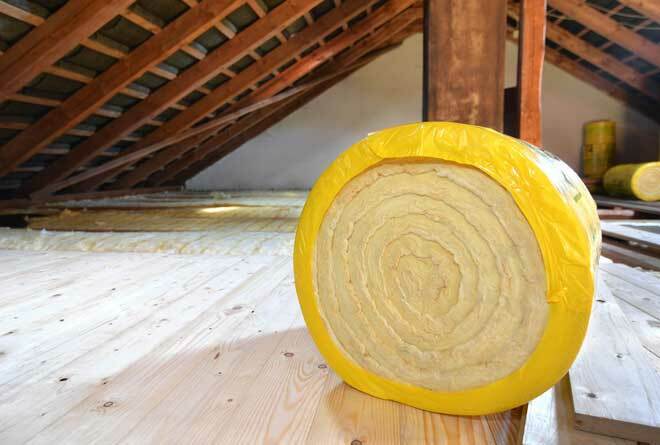 Boost your attic insulation – Adding insulation to your attic is one of the simplest and most cost-effective ways to increase your home’s energy efficiency and your comfort level. Because warm air rises, much of the warmth your home loses in winter leaves through the roof. In summer, the sun beating down on your roof heats up your whole house. Good attic insulation mitigates both these situations. It also prevents ice dams and icicles on the roof, protecting your roof from the damage these can cause. If you use batt insulation, all you’ll need to do is lay the insulation in place. First, check how much insulation your attic has and how much is recommended for your climate. Then lay enough new insulation to make up the difference. If you’re just beginning to venture into DIY home improvement, start with small jobs such as painting an accent wall or updating your cabinetry hardware. Once you gain skill and confidence, you can move on to more complex jobs such as replacing plumbing fixtures. 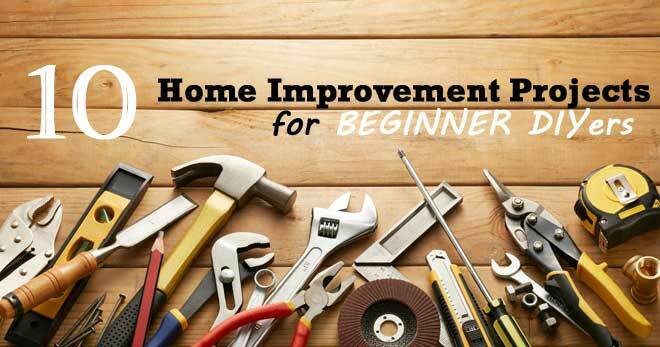 Remember, too, that not all home improvement projects raise your property value an appreciable amount, so when you’re considering which projects to dive into first, go with the ones you and your family will get the most enjoyment from.